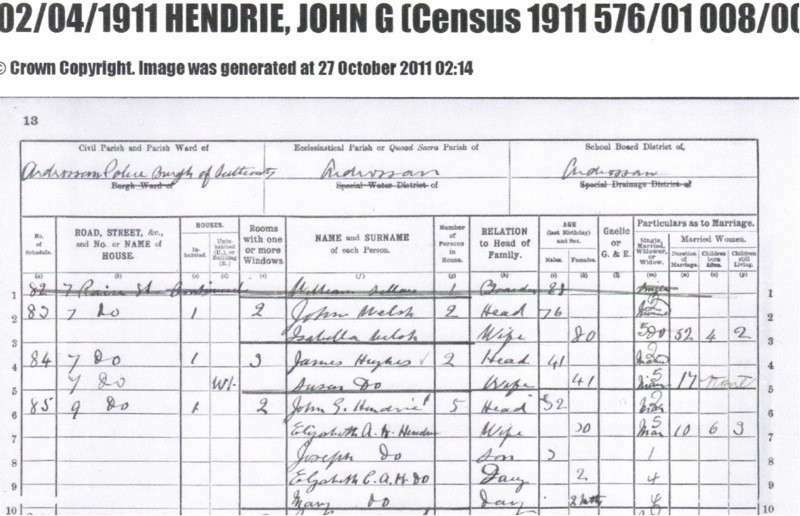 The number of people living in the house in the day of census was 5. It tells us they have been married for 10years, and 6 the number of children born alive - but this day only 3 were living. 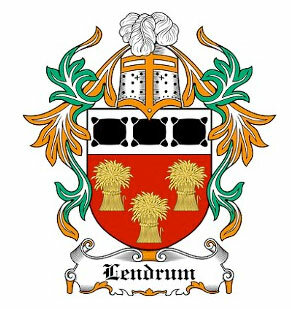 John G. Hendrie- Head of house - aged 22 yrs. Occupation: Iron Driller. Place of birth Lannak Bothwell. Elizabeth A. H. Hendrie - aged 30 yrs. Place of birth England. Joseph - son aged 3 yrs. Place of birth Saltcoast. 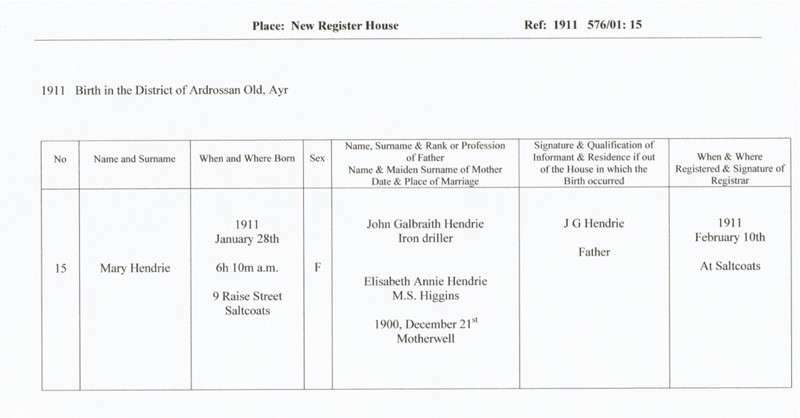 Elizabeth C. A. H Hendrie - daughter aged 2yrs. Place of birth Saltcoast. Mary Hendrie - daughter aged 2 months. Place of birth Saltcoast. 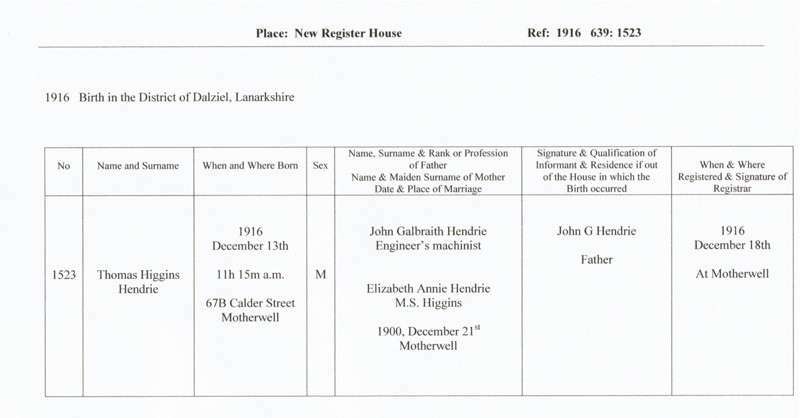 Thomas H. Hendrie - son was born in 1916 at 67b Calder Street, Motherwell. 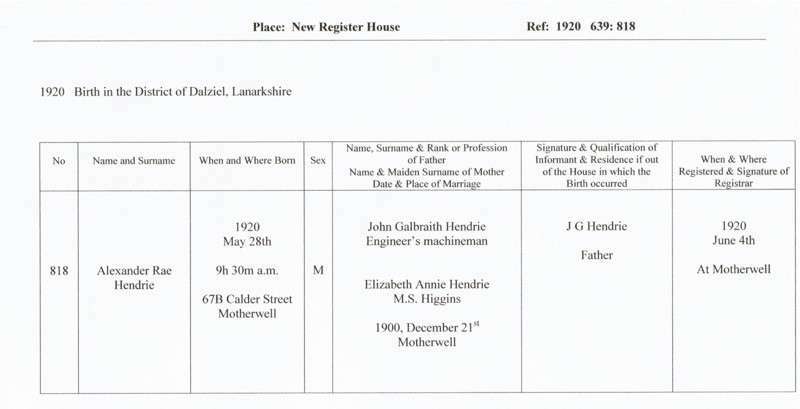 Alexander Rae Hendrie - son was born in 1920 at 67b Calder Street, Motherwell.